TESSERA Kit is a Vape Kit launched by Eleaf. Its launch date is February 2nd, 2018. As the beginning of 2018, what new surprises will Eleaf's new products bring us? Yes, from the outside, the TESSERA Kit is really an exquisite device. Its appearance uses Low-Poly elements. With this unique design, the vape mod looks more three-dimensional. 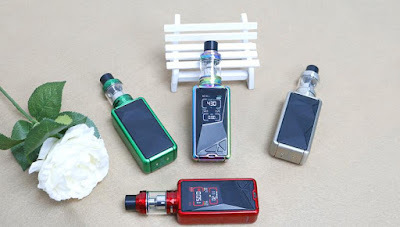 Of course, this mod also comes with a 1.45 inch TFT color display, a new UI design, allowing you to have a more comfortable visual experience. TESSERA consists of two parts, Ello TS Tank and TESSERA mod. Unlike the previous Box Kit, the TESSERA is powered by a 3400mAh internal battery and can achieve a maximum output of 150W. Ello TS Tank has two different capacities to choose from, 2ml and 4ml, with a spare glass tube so you can freely choose the effect you want. This time, the Ello TS Tank is paired with two different atomizer coils, HW1 and HW2 coils. The two coils have different resistance values, so the vaping effect will be different. 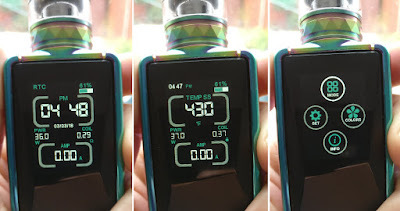 If you choose HW2, you will get better Flavor, if you choose HW1 it will bring you a bigger vapor. Yes, this is our quick look of the TESSERA Kit. How do you feel about it?